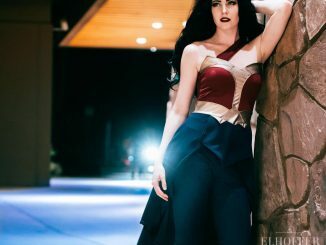 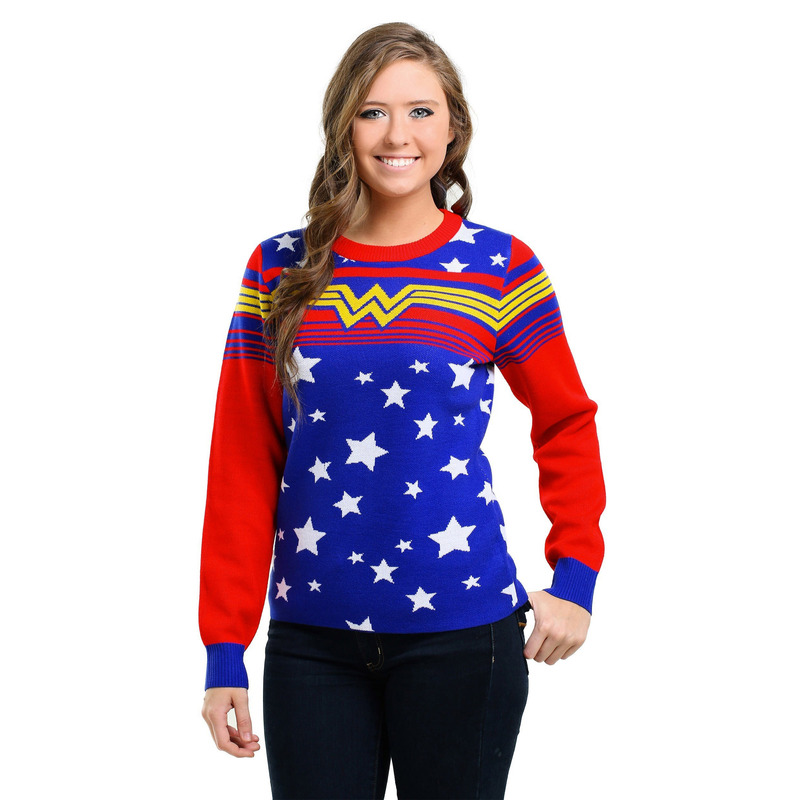 Rock a retro vibe with the red, white, and blue Wonder Woman Tunic Sweater. 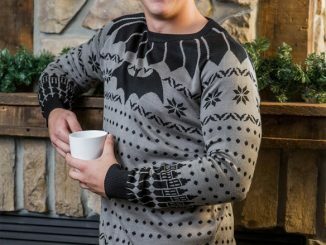 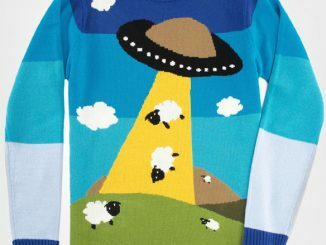 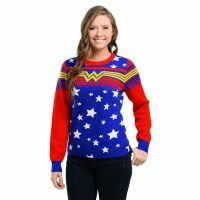 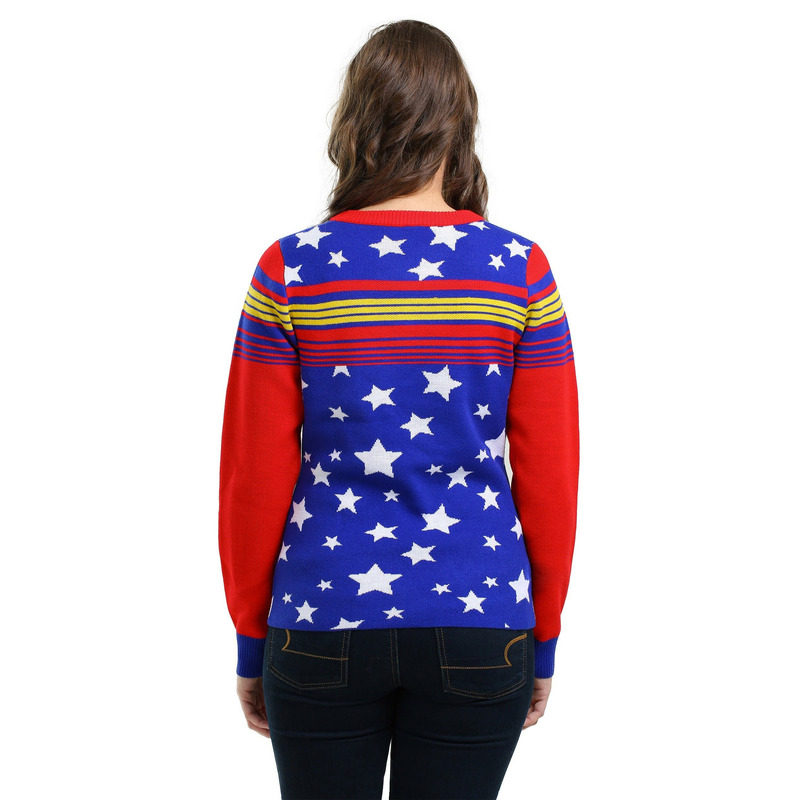 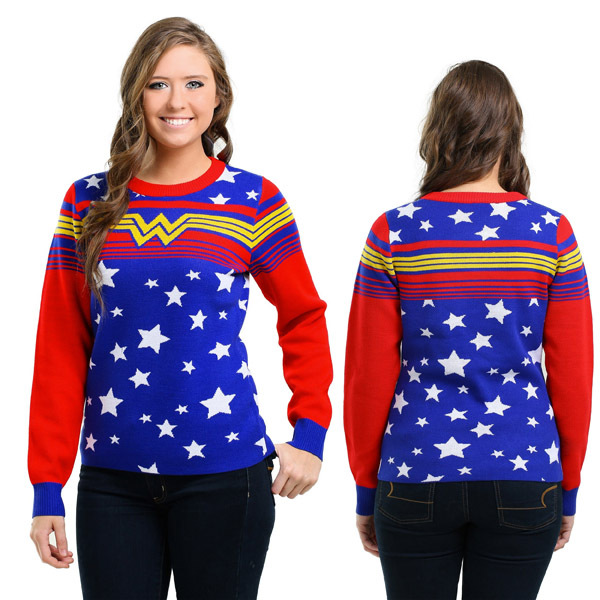 You’ll be the most patriotic Wonder Woman fan around with this sweater that features white stars on a blue background, in addition to red sleeves with blue cuffs and the classic Wonder Woman logo that features yellow bands that wrap around the back of the sweater. 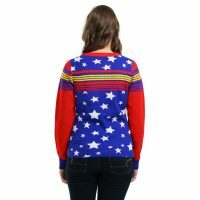 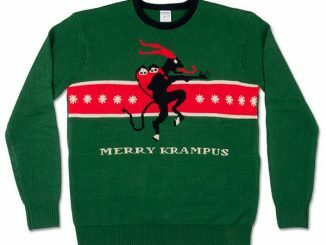 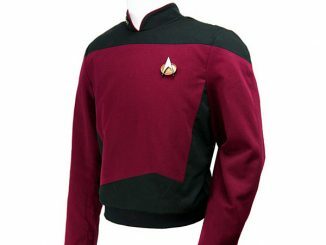 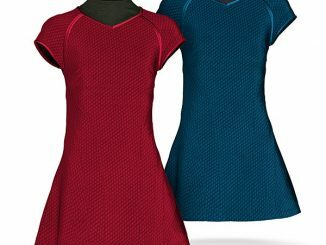 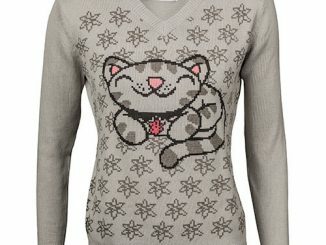 The Wonder Woman Tunic Sweater is available for $48.99 exclusively at Fun.com.